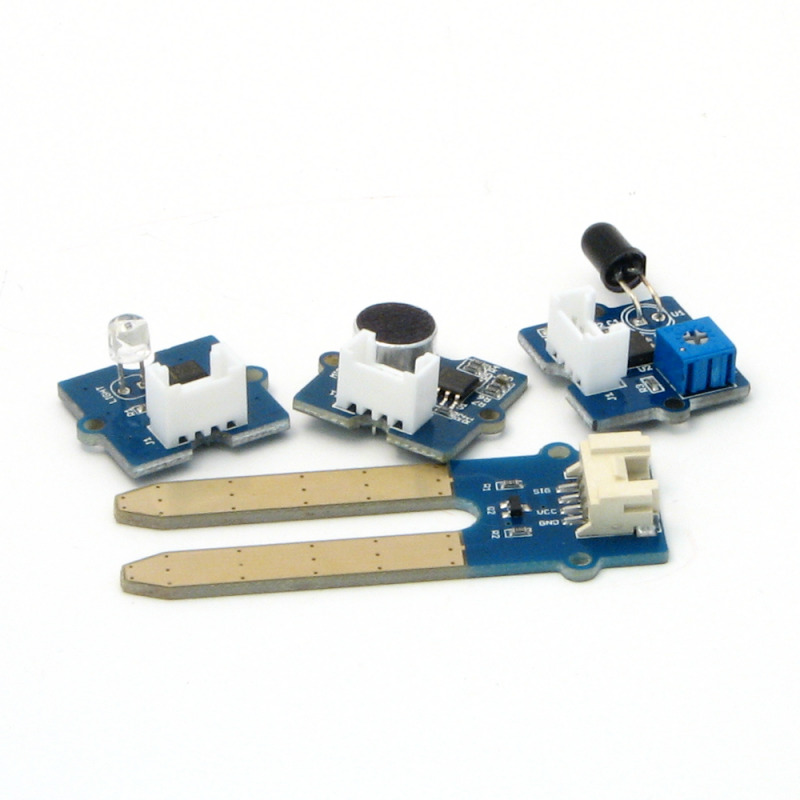 The Grove buzzer lets your EV3 project easily get your attention with a loud sound. 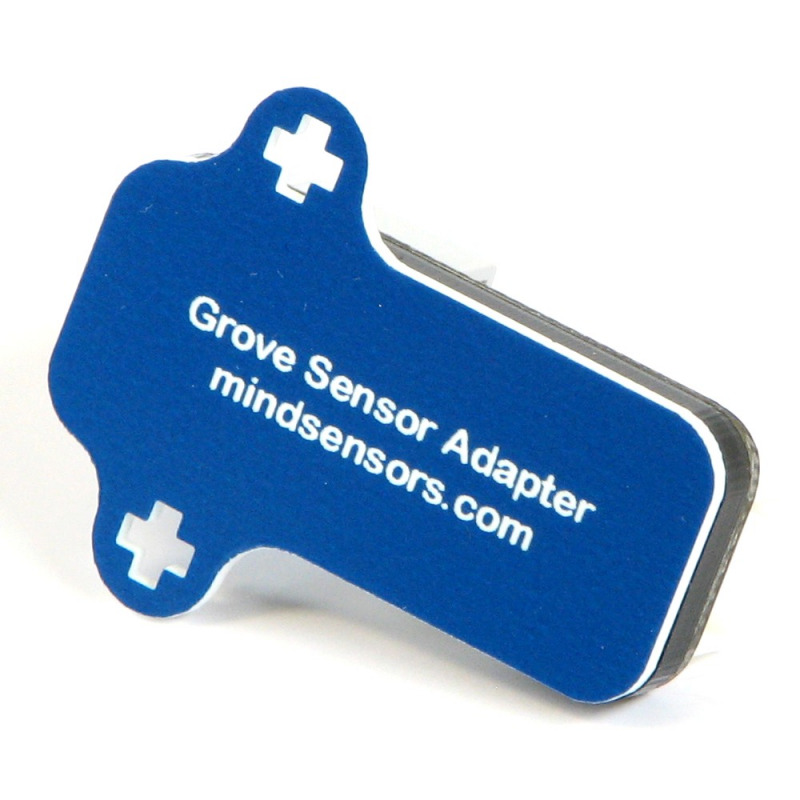 The mindsensors Grove Sensor Adapter makes it easy to connect it to your EV3. In this demo we use a countdown alarm as an example, but you might also use this to alert you if your plant needs watering. 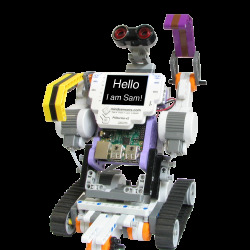 This first program simply makes a repeating beep. That's it! Use the Mindsensors GroveSensorAdapter block (see downloads below) and change the mode to Digital. You can specify true or false to turn the buzzer on or off. You could also wire in a logic signal from another block for a more advanced application. Here we turn it on, wait for a short time (1/5 second), then turn it off. Then we wait four fifths of a second before letting the buzzer buzz again. In total the loop takes one second. Now we an example program of using the Grove buzzer to make an alarm. Remember the example programs can be downloaded below. First we have a loop that updates the display on screen. We get how many seconds are left, divide by 60 to get the number of minutes, then combine those with a colon to show it on screen. After the timer finishes and the loop ends, we play an alarm for one minute. As with the simple program we repeatedly turn the buzzer on and off, but we use an additional loop to get 4 beeps then a pause. The thumbnail is from the Seeed wiki for Grove devices. I bought the Buzzer too. It is very loud though so I only set it to come on for very short periods of time. Thanks for all of the really great sample programs! Great! Yes, the buzzer will certainly get your attention. I'm not sure if the EV3 can produce the precise timings required, but the wiki page (http://wiki.seeed.cc/Grove-Buzzer/) has some example (Arduino) code for playing frequencies with the buzzer (e.g. 440Hz for middle C). I saw that in the wiki too. I guess I need to try that out. I did have another idea though. I could use the PDF8591 kit - it has an analog output. Or I could use the HiTechnic Super Pro board. It has an analog output which can produce different wave types - saw, sine, square, etc. at different frequencies. Just out of curiosity, I tried running a couple of the programs from your blog posts and I ran into a problem with the second program with the timer. You used a math block using an "Advanced" equation that couldn't be downloaded and ran on my NXT. I know what you were doing in that part of the program, but I didn't know anything about some of the equations on the menu - like the one you used "floor(a%60)". I tried looking it up on the internet. Nothing came up in the search results. Since I knew what you were doing I just modified the program and replaced that equation with a couple of math blocks and a round block. It actually worked fine - I wasn't sure. I also made a few other changes too. I don't know if this is just an NXT problem or not (I haven't tried my EV3 yet). The Grove sensors and devices power up with the NXT and they don't go off until you run a program using them. Since the Grove blocks are at the very end of the timer - the buzzer was on for the whole time! I had to add a Grove block at the very beginning to turn it off. I also lowered the time to 2 minutes - 10 was kind of long, especially for testing - and I lowered the length the buzzer ran at the end from 60 seconds to 20. I didn't know if this would be worth a blog post or not? I still have a few other of your programs that I would like to try. The rest will have to wait until I buy more sensors. Oh wow! First off, we don't have any blog posts about using the NXT with the Grove sensor adapter. That in itself might be worth a blog post. It would also be helpful to share the quirks of the NXT sensor ports you discovered with the community. I'm glad you were able to understand and re-create that with simpler Math blocks.